Volumele reprezintă o colecție și nu se vând separat! Transport GRATUIT prin curier rapid! 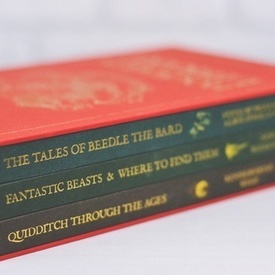 A highly collectable hardback boxed set from the world of Harry Potter - containing handsome new editions of Quidditch Through the Ages, Fantastic Beasts and Where to Find Them (both in hardback for the first time) and The Tales of Beedle the Bard. 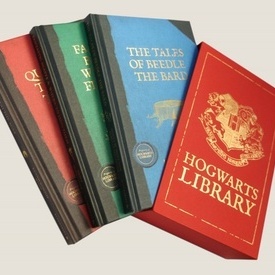 The Hogwarts Library is an essential collection for any wizard or Muggle home. 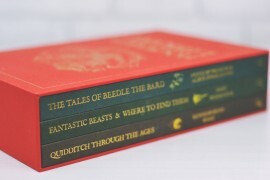 Eager seekers of wizard learning will find within a treasure trove of magical facts, additional notes from the esteemed Professor Albus Dumbledore, and illustrations from J.K. Rowling.